J.Crew offers a 15% educational discount to both teachers and college students who show a valid school ID. The discount is valid for in-store purchases only, and you must show proof of ID at checkout. 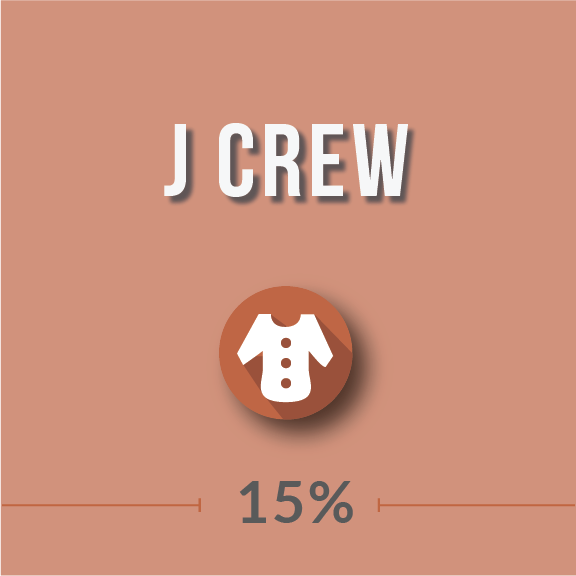 How does the J.Crew student discount work? This is a weird discount. Not weird because you get 15% of J.Crew merchandise for all in-store purchases. That part is awesome. It’s weird because of who they decided to give the discount to. The first group that qualifies is teachers. Apparently, this means all teachers: kindergarten through university, as long as they have a school ID. The second group is college students, but only college students. No K-12 here. I suppose the logic is that if you still live with your parents, you likely don’t need the discount as bad as someone living on a college budget. Makes sense. The fine print: Offer is valid for in-store purchases only at any J.Crew, J.Crew Factory or J.Crew Mercantile store. It cannot be used on past purchases or on gift cards. No online purchases. Not valid on third-party branded merchandise. Good in the U.S. and Canada only. What can you buy with J.Crew education pricing? J.Crew began in the 1940s and for years operated as a catalog business known as Popular Merchandise. Popular Merchandise launched J.Crew in 1989 in downtown Manhattan selling a huge variety of popular clothing for all ages. The stores sell a variety of clothing including swimwear, sweaters, denim, dresses, suiting, jewelry, and shoes – all of which are eligible for the 15% college student and teacher discount.